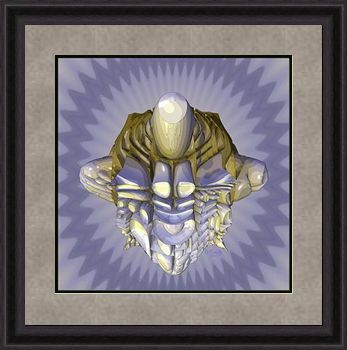 This unique artwork, a modern rendition with an Eastern influence, looks like a smooth, shiny - possibly bronze - statue of Buddha or a monk or a student sitting in the lotus position. The head is bent over while the student intently studies the scrolls of his master, and it is the Moment of Enlightenment. The heaps of scrolls on the pupil's lap seem to emanate a light of their own, as the student seeks to understand their knowledge, and achieves wisdom in return. Or is it the enlightened master himself, at his studies? The soft blues, golds and greens lend a peaceful serene feeling to the artwork. 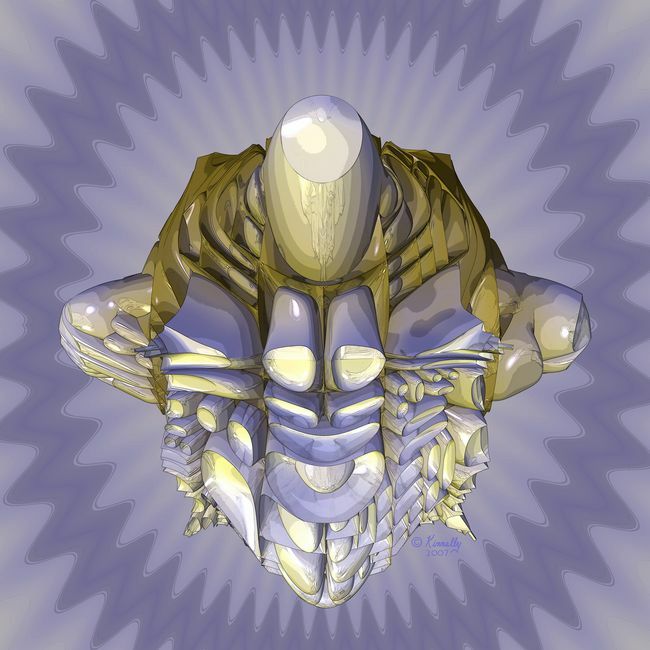 See the fine art prints in my Sculptural Gallery for other versions of this giclée, and other sculptural artwork. Sample contemporary "Fine Art Print, 'Enlightenment #1'"
"Fine Art Print 'Enlightenment #1'"
All Fine Art Prints in this art gallery are created with exceptionally long lasting pigmented inks (not dyes), available framed or unframed, on several fine art papers or canvas, and in several sizes. An artist's suggested framing configuration is also available.